Cheltenham in the county of in Gloucestershire is a recognised area of outstanding beauty, and is known for its various festivals which take place throughout the year. Horse racing is another event that continues to be very popular in Cheltenham, after first gaining popularity during the Victorian period. Indeed, lots of people made their homes in the town during this time, and many of the original Victorian properties are still in use to today, complete with original Victorian tiled floors. However, not all of these floors have been kept in great condition over the decades. Lots of them have spent years covered by carpet, while others have become broken or damaged, and simply left to slowly degrade over time. I found a good example of this at the home of a recent customer of mine. 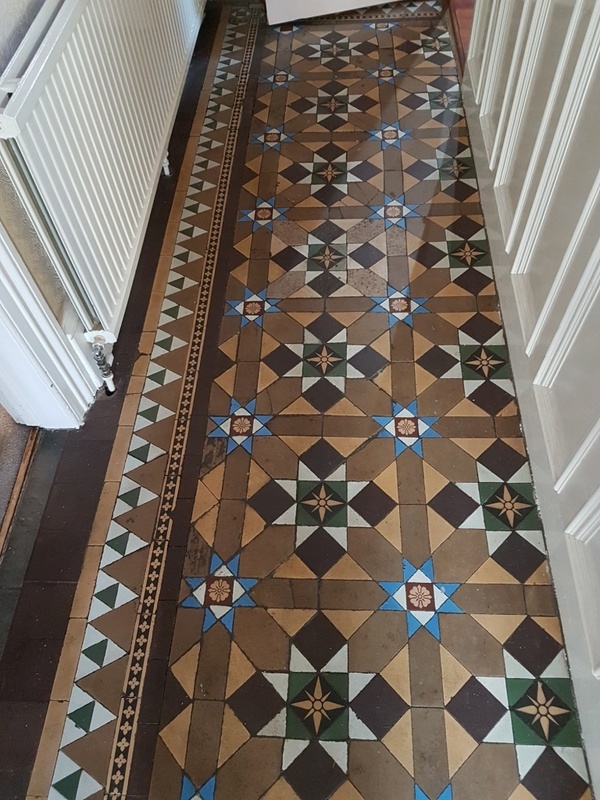 The customer’s Victorian tiled hallway was in poor condition, with some of the tiles around the doorway cracked and in need of replacements. All in all, the floor required repairs, followed by deep clean and a fresh application of sealant. 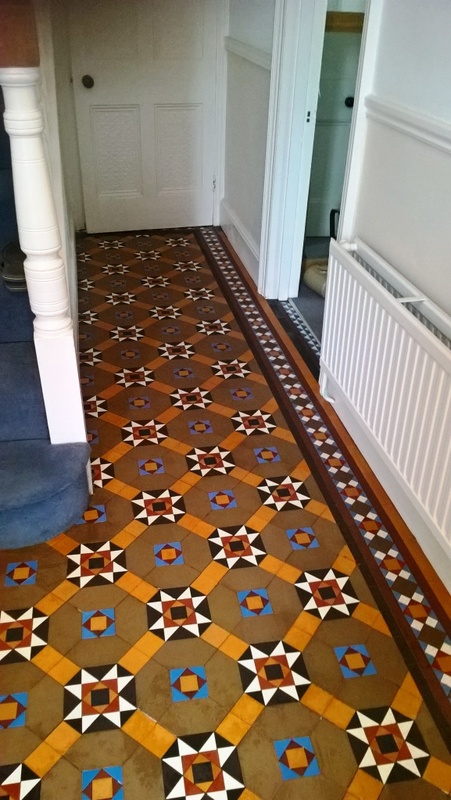 My first job was to source suitable replacement tiles which would be needed to match with the original pattern of the floor. Fortunately Tile Doctor has built up a network of contacts in this area so this proved to be a simple enough task. 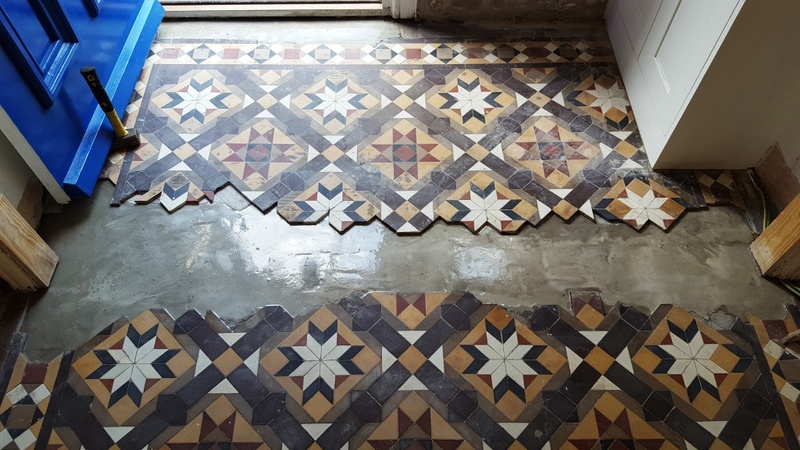 When I arrived on site I protected the flooring in the adjacent rooms and staircase carpet with plastic sheeting and made a start on removing the cracked tiles, cleaning up the foundation then fixing and grouting in the replacement tiles. Next, I moved on to cleaning the entire hallway starting with an application of Tile Doctor Pro-Clean, an alkaline-based product that is safe to use on Tile and Stone including Victorian tile, for the removal of heavy soil and staining. It can strip away old sealants remaining on the tile which is important to avoid a patchy looking result. 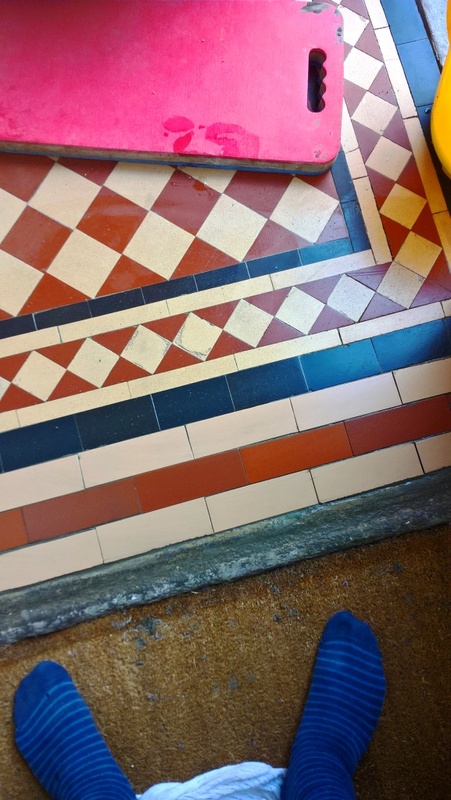 The product was diluted with water and applied liberally across the area and left to dwell for roughly 10 minutes before I proceeded to work it into the tiles using a scrubbing pad fitted to a rotary machine. 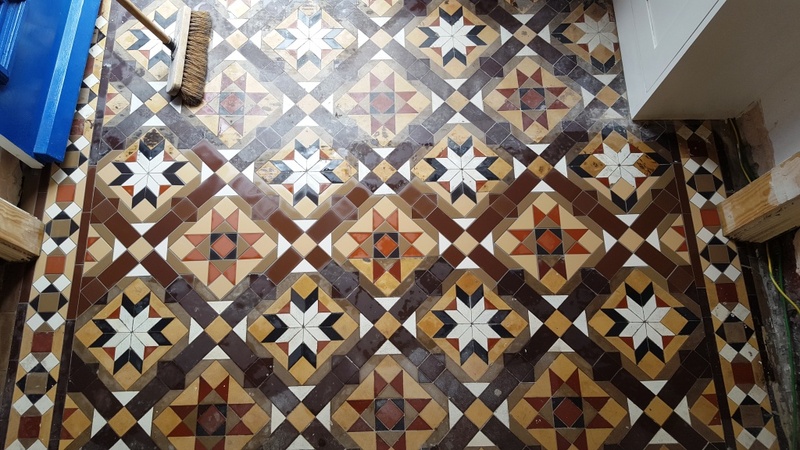 I used a wet vacuum to remove the soiled cleaning solution, rinsed with water and then spot treated those tiles which needed more work to get them clean. Once I was happy with the floor was as clean as it could be I left it to dry off overnight. Upon returning to the property the next day, my first concern was to run some tests to check for any outstanding damp issues. 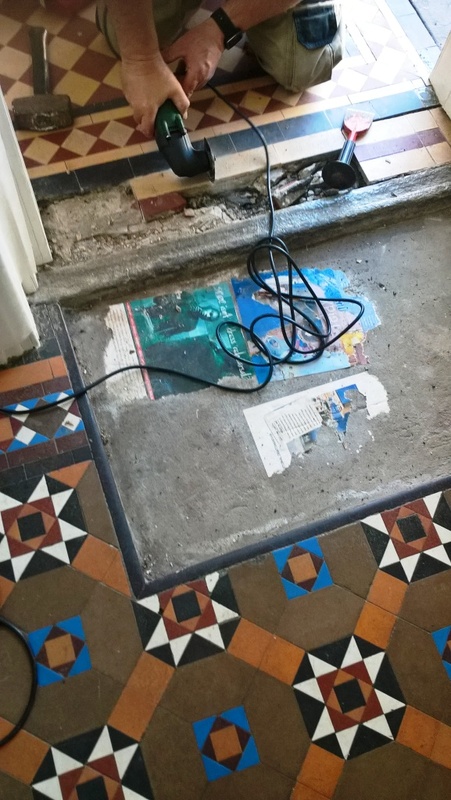 Victorian properties do not typically have damp proof membranes installed, so these tests were essential as an excess of moisture can cloud the sealant and prevent it from performing correctly. Luckily, there were no major damp issues and I could proceed with sealing the tiles using Tile Doctor Colour Grow, which is an impregnating sealant that penetrates into the pores of the tile enhancing the natural colours and protecting it from with. 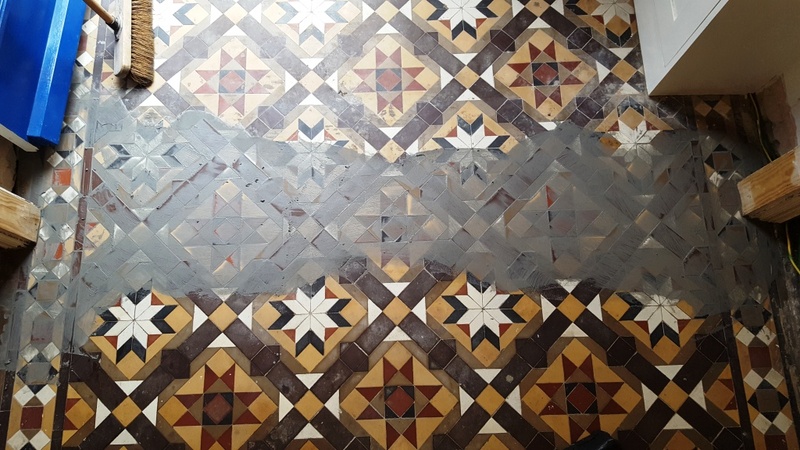 I find many customers with Victorian Tiles opt for Colour Grow as their sealant because it provides a natural-look matte finish which really compliments the classic characteristics of Victorian tiles. The customer was absolutely delighted with the outcome of the restoration, which you can see in the photo below. Best of all, he said that he is already getting comments from friends and family on how great the floor looks now. Newport is the third largest city in Wales with a long history that goes back to the Roman times so un-surprisingly it has many period buildings and problematic tiled floors. 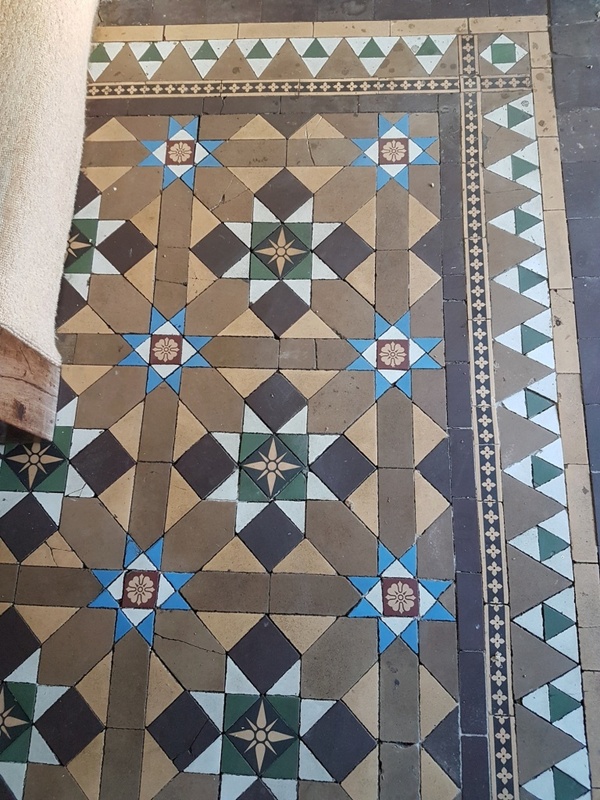 I was recently asked by a Tile Doctor colleague of mine to assist him with the restoration of an original Victorian tiled hallway at a property in the city. 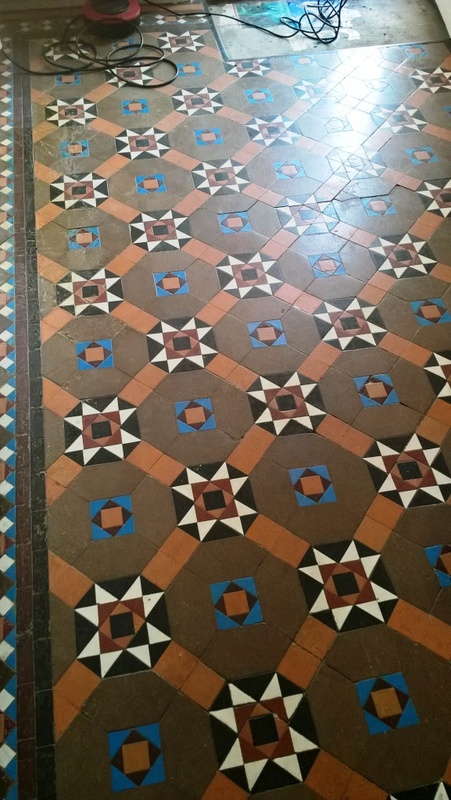 You will see from my website that I have a lot of experience in rebuilding Victorian tiled floors and on this occasion my colleague required me to perform some specialist tile repairs before he could carry out the business of cleaning and sealing the floor. 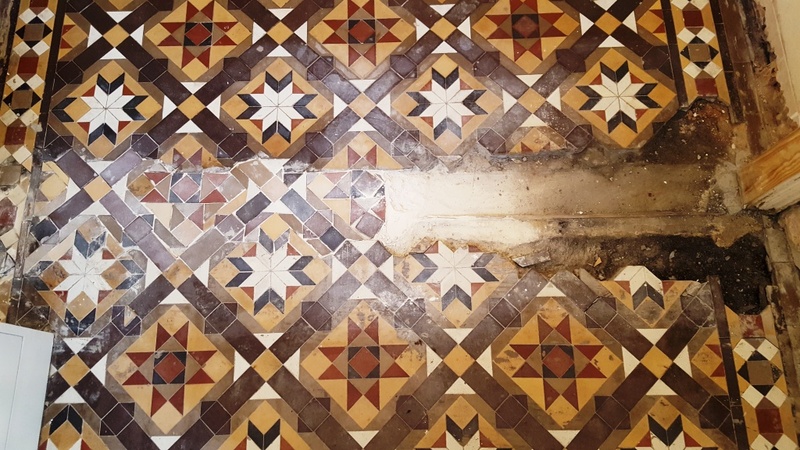 The property owner had previously asked a different company in to carry out the floor restoration but the tile repairs made were disastrous. 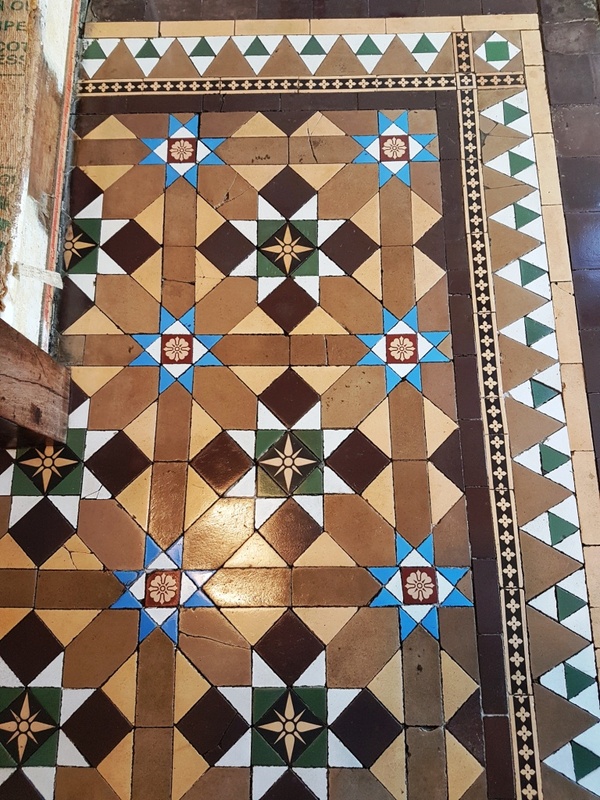 The repair attempts were never going to be successful as this was a particularly difficult situation and required real specialism in dealing with Victorian tiles. 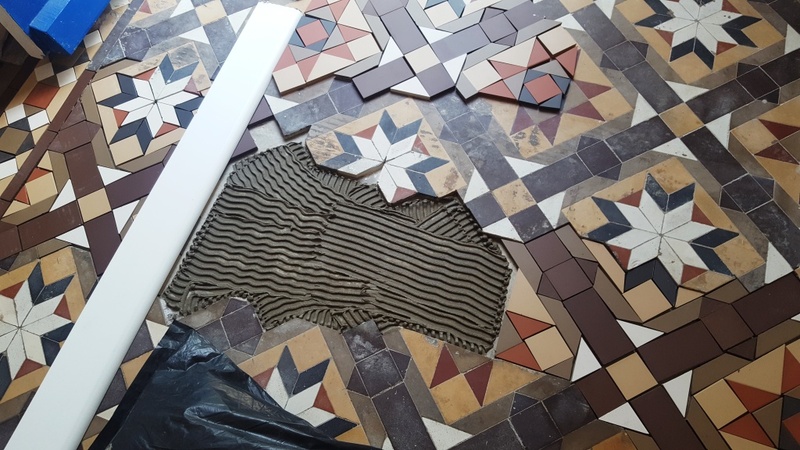 The previous company had used dry plaster to bed the tiles in the hope of being able to achieve some sort of flatness to dry cut the pieces in place. 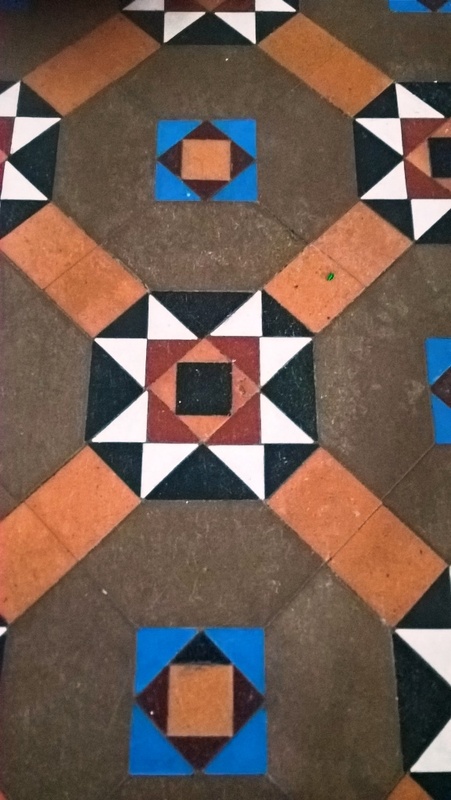 This had also been done without consideration for matching the colours of the tiles. You can see the result of this in the photo below. 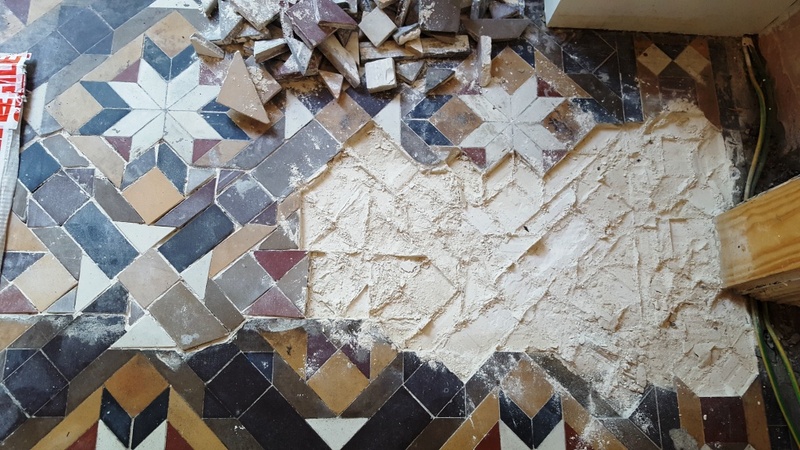 The first stage of the repairs was to remove all the plaster powder and cut out the very damaged tiles as far back as possible, being very careful not to cause any further damage to the existing tiles. 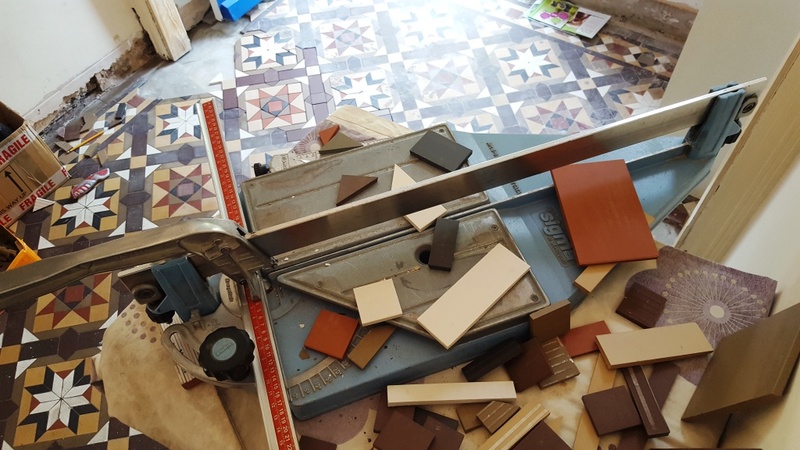 Next, I cemented the base level to the desired thickness and left it to dry out, before dry cutting all the tiles (150 x 150) I had sourced to colour match with the original tiles. 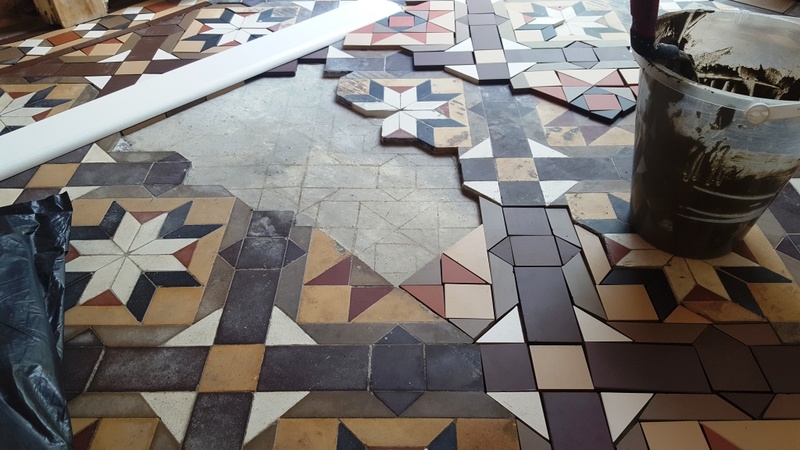 Once all the tiles were cut, I moved them to the area to be tiled and proceeded to spread adhesive and install the tiles. Following this, I left the floor to dry out overnight. The next day, I returned to the property and grouted the tiles. 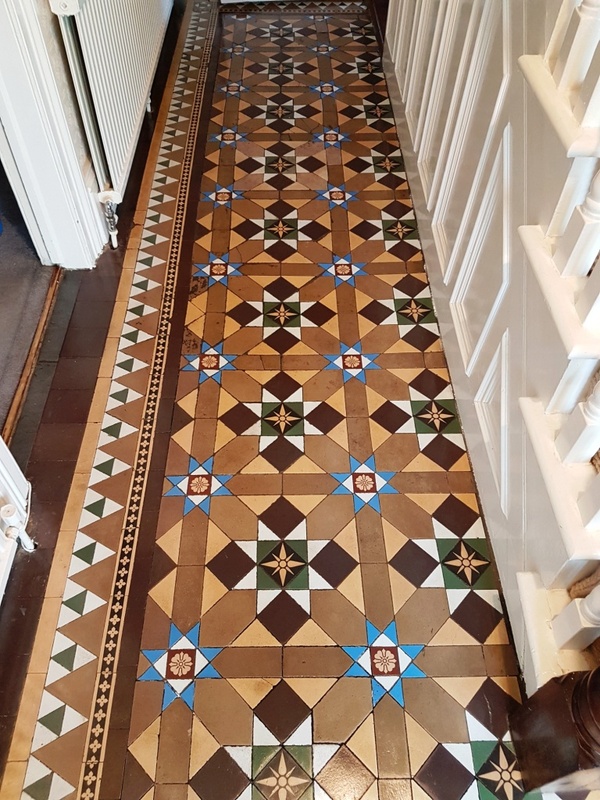 Now that the repairs have been completed to the required standards, this Victorian tiled hallway is now ready to be cleaned and sealed by my colleague.